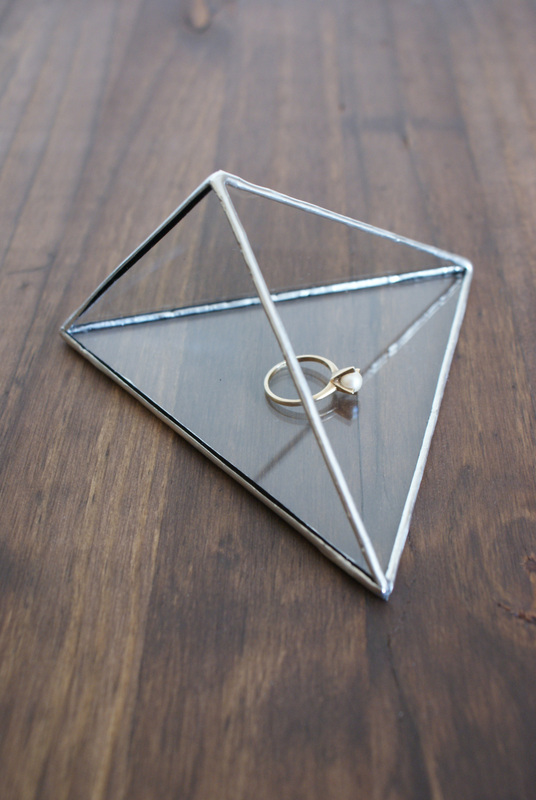 Keep your treasures safe and in view from all angles. 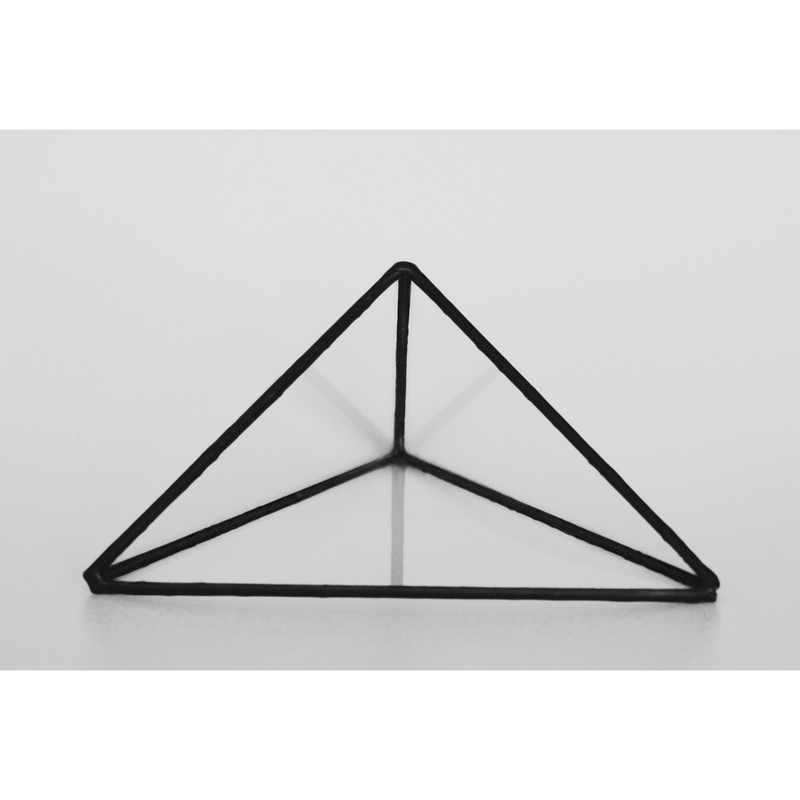 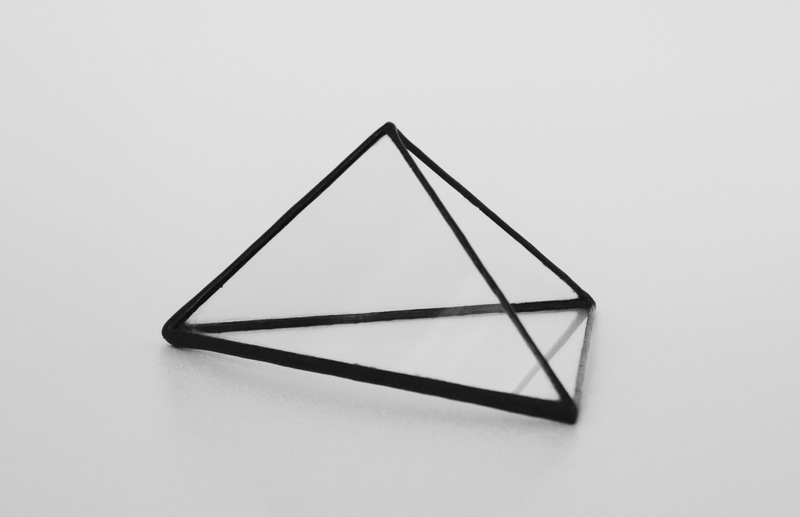 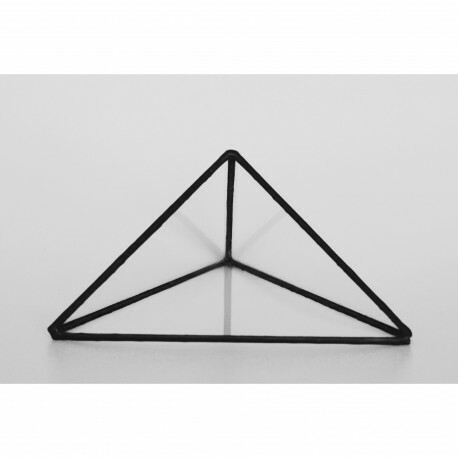 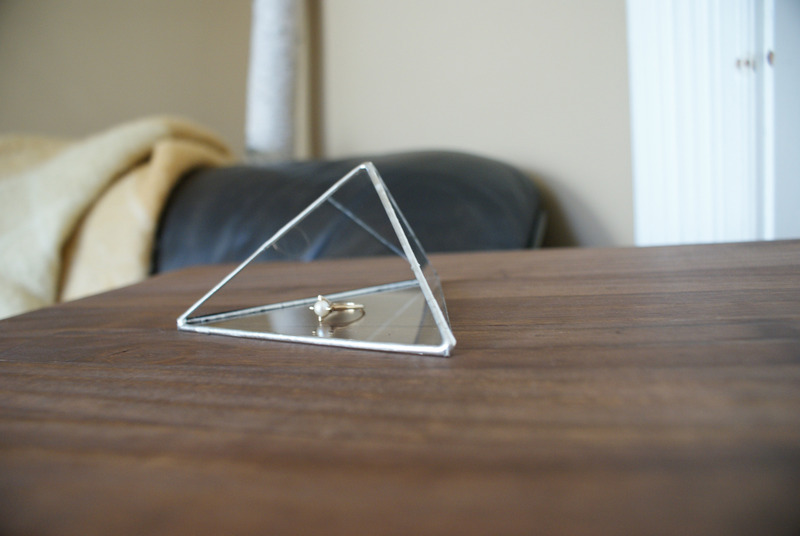 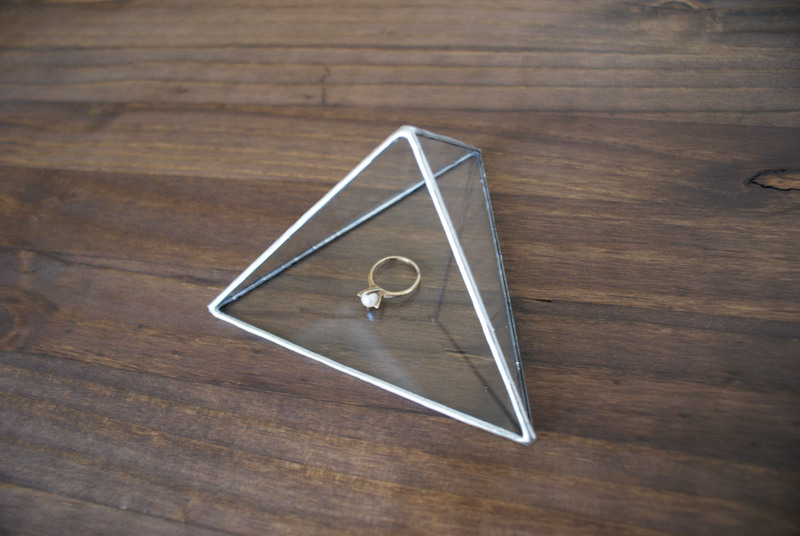 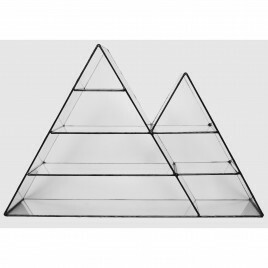 Our tetrahedron display case angles back dramatically to display its contents. 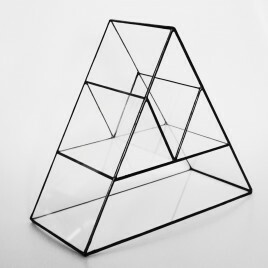 Display Cases are made to order, please allow 7 days for completion. 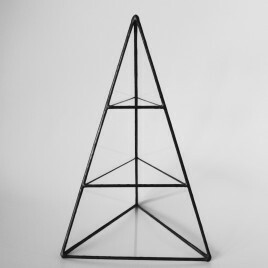 We will apply black patina unless you request otherwise.